Many of the threats to the biodiversity, which includes important species such as snow leopard, brown bear and musk deer, and, are a result of contributing factors shared by neighbouring states. The cultural identity of the peoples of the Altai is deep and historically pre-dates current political boundaries. Therefore, a coherent strategy for conservation that aims to build capacity in the local community requires close cooperation between neighbouring states. The sharing of knowledge and expertise between professional staff and scientists from neighbouring states brings very real benefits to the management of a large protected area and is more likely to secure success in meeting objectives and targets. 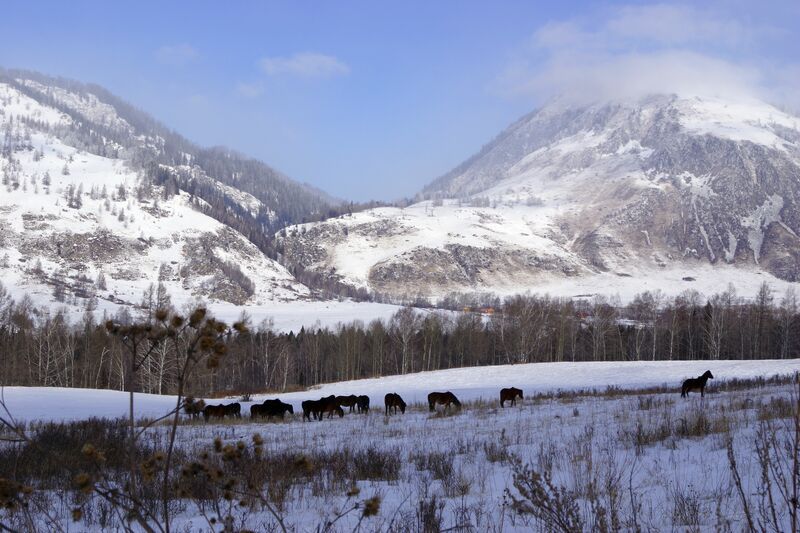 The initiative of establishing the bilateral TBR “Altai” is viewed as an important stepping-stone towards a quadrilateral TBR including Chinese and Mongolian protected areas as well as making a contribution to the implementation of the World Natural Heritage Site “Golden Mountains of Altai”. The TBR would also help towards meeting targets set under various international conventions such as Convention on Biological Diversity (CBD), the United Nations Framework Convention on Climate Change (UNFCCC) and others. 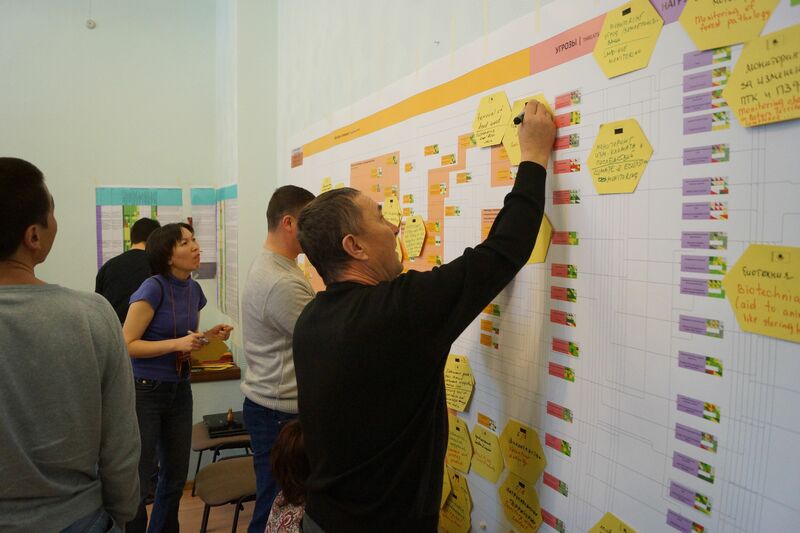 The workshop was facilitated by the Centre for Econics and Ecosystem Management, Eberswalde, Germany, and carried out in the framework of the project “Development of a management plan for the projected Transboundary Biosphere Reserve (TBR) Altai”, sponsored by the German Federal Agency for Nature Conservation (BfN). Several members of the Joint Commission for the establishment of the Transboundary Reserve (TBR) “Altai” participated in the meeting, including representatives of the Man and the Biosphere (MaB) Committees of Russia and Kazakhstan as well as a representative of the BfN. The TBR “Altai” would comprise of the territories of Katunskiy Biosphere Reserve, consisting of Katunskiy Strict Nature Reserve and Beluhka Nature Park, as well as Katon-Karagaiyskiy National Park and its adjacent areas, which ultimately will make up the Katon-Karagaisjkiy Biosphere Reserve. The favourable conditions and circumstances in both the project region and internationally provide the unique opportunity for the proposed UNESCO TBR “Altai” to become a globally important model for large-scale biodiversity and socio-economic sustainability. 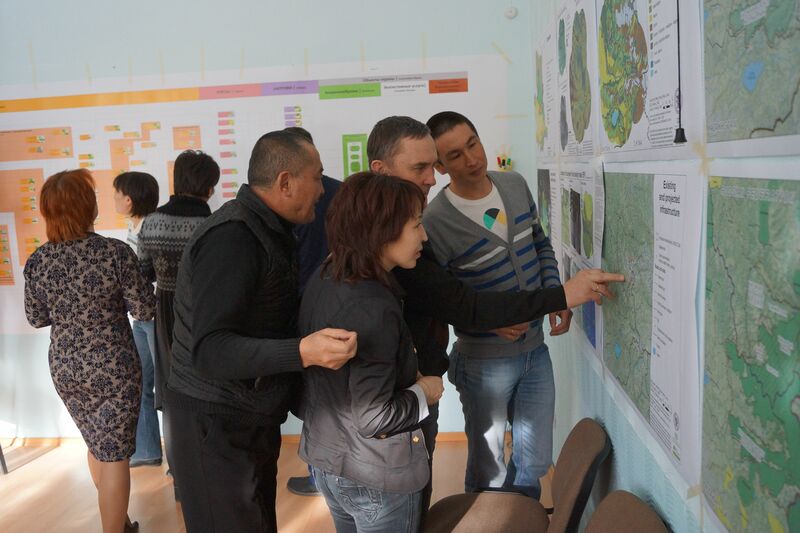 The project “Development of a management plan for the projected Transboundary Biosphere Reserve Altai” is producing a detailed analysis and a strategic portfolio for the UNESCO nomination of the TBR by applying the MARISCO method developed by the Centre for Econics and Ecosystem Management. This method was elaborated in partnership with several players, in particular, the German development agency GIZ, Deutsche Gesellschaft für Internationale Zusammenarbeit. MARISCO stands for adaptive MAnagement of vulnerability and RISk at COnservation sites; it is structured around an ecosystem-based situation and risk analysis and systematically facilitates the development of a consistent strategic portfolio for adaptive management. Directors of Katunskiy Biosphere Reserve and Katon-Karagai National Park signing the workshop resolution (photograph: Felix Cybulla).